We are seeking an energetic, positive, self-motivated, reliable, hard working shop fabricator to join our production team. Responsibilities include everything from grommeting seat covers and keeping the shop clean to bending, drilling, grinding, cutting, welding of raft frames and other general shop duties. General fabrication skills are required and Tig/Mig welding experience is preferred. Experience with a lathe and mill are helpful. Applicant should be a team player and have a willingness to learn. Must be able to lift 75 lbs. This is a full-time position looking to hire ASAP. Pay is $12-$15 per hour depending on experience. Shop hours are from 9am – 5pm Monday thru Friday with overtime expected during the busy summer months. 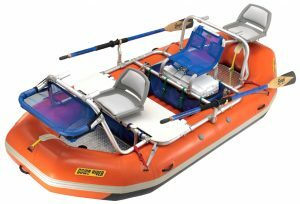 Down River Equipment is a growing company that has been manufacturing, distributing, and selling a multitude of products related to rafting and other paddle sports for over 30 years. DRE is most known for custom fabrication of aluminum rowing frames, kitchen boxes, camp tables and more. We distribute Sawyer, Carlisle, Advanced Composite, Extrasport, Engel as well as our own line of rafting Cargo Gear, made in Colorado. We offer a flexible schedule, a fun working environment, free employee demo gear and a chance to have a real impact on the business.